Boron from calcium fructoborate (or CFB) is one of the most important nutrients, and it’s not as ubiquitous on store shelves as you would think. 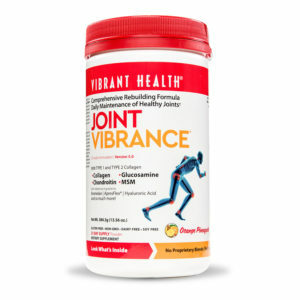 In fact, only a few nutritional supplement companies offer it. This may change in years to come when awareness of the benefits has grown. 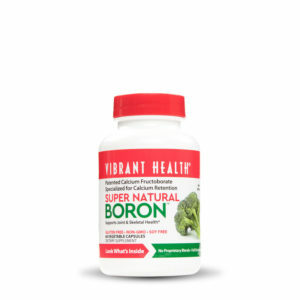 At Vibrant Health, boron can be found in Green Vibrance, Maximum Vibrance, Joint Vibrance and as a stand-alone product, Super Natural Boron. Boron is an essential nutrient for all life on earth. Without it, plants don’t grow. In August 2014, researchers at the University of Missouri found that boron is crucial to the stem cells of plants. Meristems, a part of plant anatomy, are made of stem cells, which are capable of giving rise to all the different cells that make up a plant. Without boron, these meristems wither. Boron is woefully lacking in American soil and consequently the American food supply. Scientists have known for several decades that the depletion of boron in soil, due to chemical fertilizers and poor crop rotation, has increased the rate of certain bone and joint related diseases around the world. Interestingly, boron is believed to have been delivered to earth via meteorite 3 billion years ago. 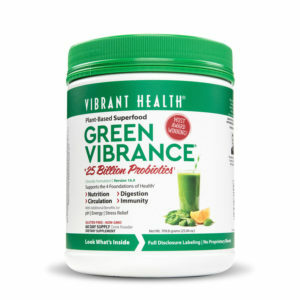 Calcium fructoborate, or CFB for short, as a dietary supplement is a patented compound composed of calcium bound to boron (from plants) and is a source of soluble boron that’s bio-identical to the boron that’s found in fruits and vegetables. 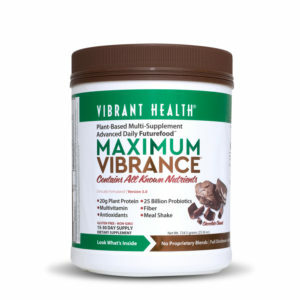 Calcium fructoborate is the most scientifically studied boron-based dietary supplement. While it’s difficult to get adequate boron levels from diet alone, the following foods contain higher levels of boron: dandelion root, honey, flaxseed, apples, figs, raisins, tomato paste, and more.